The Ukrainian American YouTuber TechRax has done it again, he wants to find out which will win between the Worlds Strongest Acid and an iPhone 7. We don’t think Apple has tested their iPhone’s for this kind of thing but we think TechRax doesn’t care and he has taken it upon himself to find out on their behalf. TechRax likes to make videos on the annihilation of products especially iPhones (What does he have against Apple iPhone’s?). In one video he destroyed a $10,000 Apple Watch Edition with neodymium magnets. 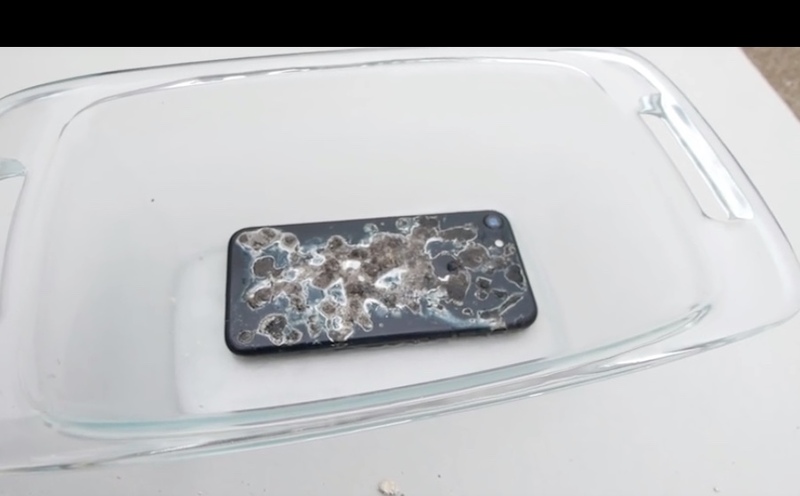 In the video iPhone 7 vs World’s Strongest Acid – What Will Happen? the YouTuber TechRax will test the iPhone 7 to its limits. What do you think of this video? Leave your thoughts on this video in the comments below.